A masquerade ball, a carnival, a pyjama party and even a trampoline for guests to jump on - it was all about fun and novelty at this wedding where the celebrations were spread across Mumbai and Mussoorie. They did things a little unconventionally by hosting the pheras before any of the other functions. 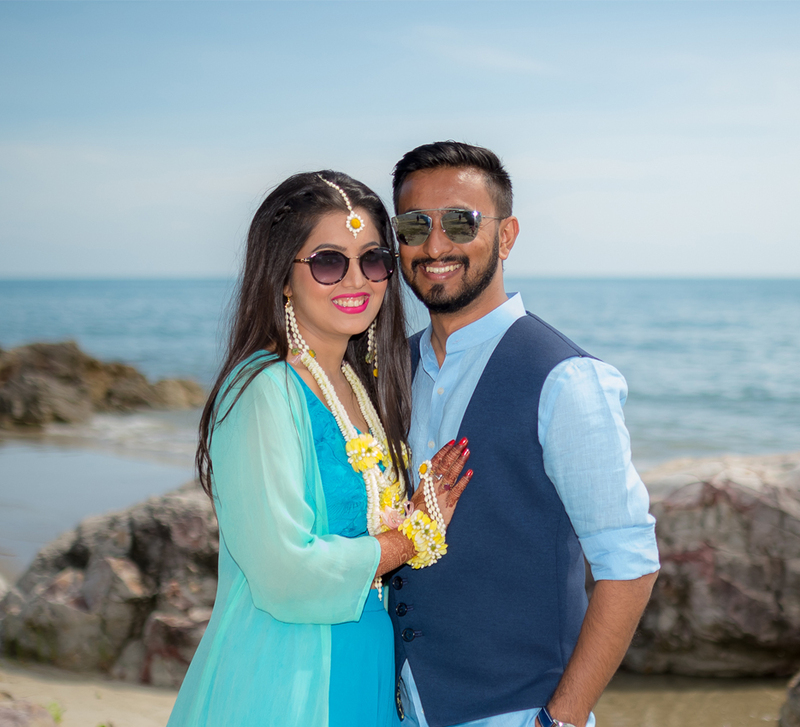 Check out how Sunny and Shreya designed the fun sequence of events at their wedding which was all about interesting themes and bonding.. The pictures by WeddingSutra Favorite - The Photo Diary cleary show that! 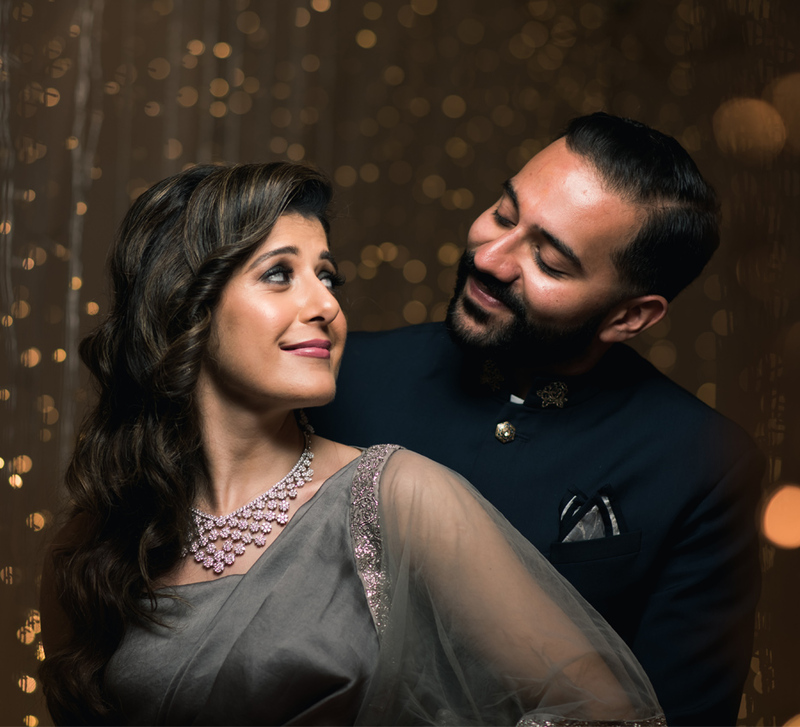 Here, bride Shreya shares details of the Mumbai ceremony as well as the three-day celebrations in the beautiful hills of Mussoorie. "Sunny and I met each other when we were in college. We became friends, and romance followed soon after." "He proposed to me during our visit to Jaisalmer. He put together a dreamy setup at Suryagarh Jaisalmer and popped the question in the most romantic manner!" "We got married at JW Marriott Mumbai Sahar and hosted rest of the functions in Mussoorie. It was our dream to have an intimate wedding. However, since that was not possible, once the pheras were over we left for the hill station with a smaller group to have a private celebration at JW Marriott Mussoorie Walnut Grove Resort & Spa!" "Our wedding was photographed by The Photo Diary. 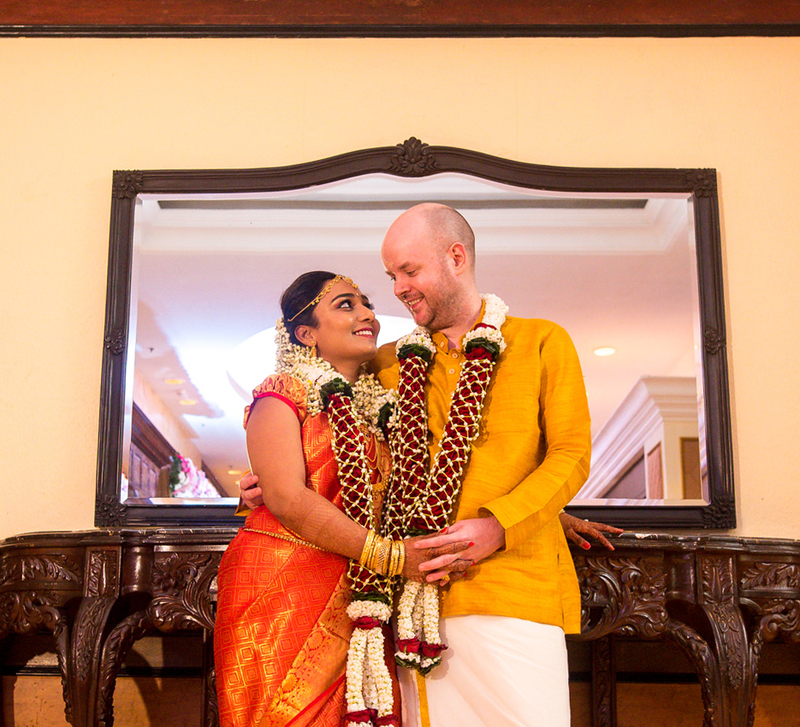 We had had the chance to meet Monisha at several other weddings and had seen her work very closely. We loved her pictures as well as her demeanor which was very pleasing. She and her team were extremely cooperative and fun, and they are just the kind of people you want to have around you on your big day. At our wedding, they all laughed with us and even shed a few tears because of the connection that they managed to build with us! Each one of them made an effort to make sure that not just Sunny and I but even our family and friends were comfortable around them! InkPress designed our wedding invites to look like a coffee table book. It was something that all our guests appreciated." "For the decor at our wedding, we made use of abundant florals to create a setup that looked just like a garden. We had lots of red and white blooms, lush foliage and even branches arranged artistically to create the perfect ambiance. Sunny opted for a sherwani by Sabyasachi for this function, and I wore a red lehenga by Manish Malhotra." "For this event, we wanted a setup that would remind our guests of elaborate Venetian balls. We decorated the venue with grand masks decked with plumes, and several of them were even handed out to our guests who wanted to dip their toes in the theme. A gown by New Delhi-based designer Shobika Bhandari was my pick for this event." "The following day began with a carnival. The setup for this event was fairly minimalistic with just a few signages and paper fans. We focused on bringing lots of fun through various games for our guests." "A very contemporary yet elegant ambiance was created for our sangeet. Fresh pastel color flowers, large leaves, exquisite vases, and beautiful Moroccan lamps were placed in charming arrangements at the entrance of the ballroom. An LED screen made for the backdrop of our stage and we had a quirky signboard placed next to the dance floor. 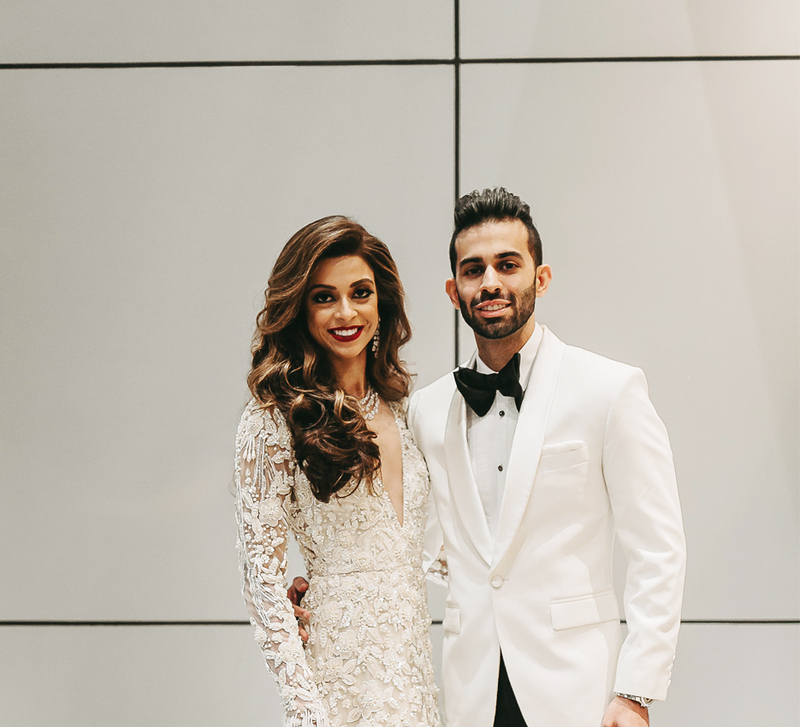 Sunny and I repeated the designers we respectively wore at our wedding." "We went with rustic chic decor for this function, and the color white was observed not just in most of the decor elements but also in our ensembles. Wooden canopies with flowing drapes, flowers, bird cages, wooden crates, umbrellas, dream catchers and more were used to create a charming and romantic setup. We even had a trampoline at this function to add to the fun!" "We felt that the perfect way to end the festivities was with a good ol’ pyjama party, just on a much larger scale than usual! The vibe was very relaxed. I decided to wear the cutest onesie for this event which made me look like Olaf from the Disney movie 'Frozen.'" "Be happy and do not get stressed. The moment you realize that your wedding is meant for you and your partner, and not for the rest of the world, you notice that you are a lot calmer and much happier with everything that is going on around you. No matter which designer or what jewellery you wear, if it is not worn with a happy heart and a big smile, it will not look good."